Endoline Machinery Limited is a privately owned company that has been successfully manufacturing in Great Britain since 1981. During that time Endoline’s business has developed from designing and manufacturing small case taping machines to its position today as a leading manufacturer of a wide portfolio of end-of-line packaging machines and systems. 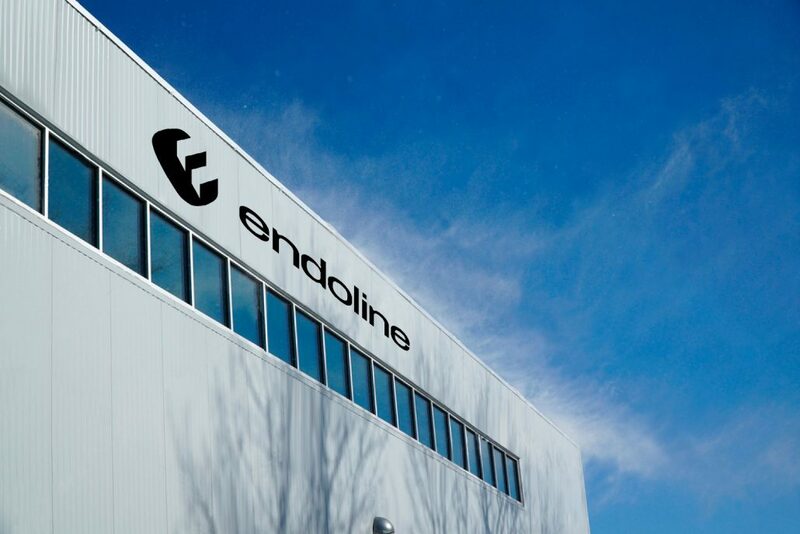 Endoline has successfully manufactured and installed over 7,500 machines worldwide since its inception. All design, build and technical support is handled in-house and customers can expect a level of professionalism and after sales service that is second to none. Endoline’s range of end-of-line packaging machines includes case erectors, case loaders, case sealers, and hand-packing stations. Endoline specialises in producing machines that deliver the lowest cost of ownership in a wide range of applications from simple semi-automatic machines through to fully automatic customised systems. 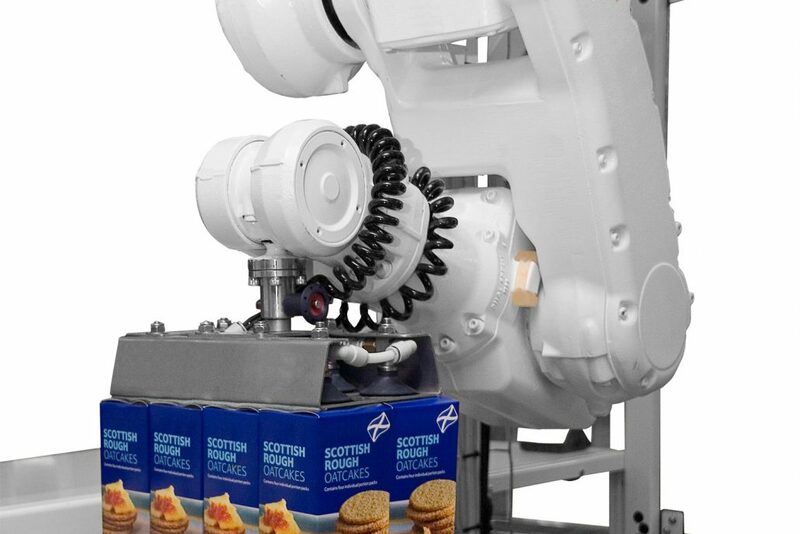 The machinery includes many unique design features that make them particularly suited to a wide range of applications including snacks, biscuits, confectionery, ready meals, pharmaceutical, healthcare, consumer goods, order fulfilment, printing and consumer goods. Endoline’s customers also benefit from a wide range of support services that ensure the maximum return on investment is delivered through long-term relationships. When choosing to invest in an Endoline system you are not only getting the benefits of top quality, superbly engineered machinery but also the peace of mind of having the backup from a well-established market leader and its sales, service and design support staff. All of this equates to low cost of ownership throughout the life of the system. 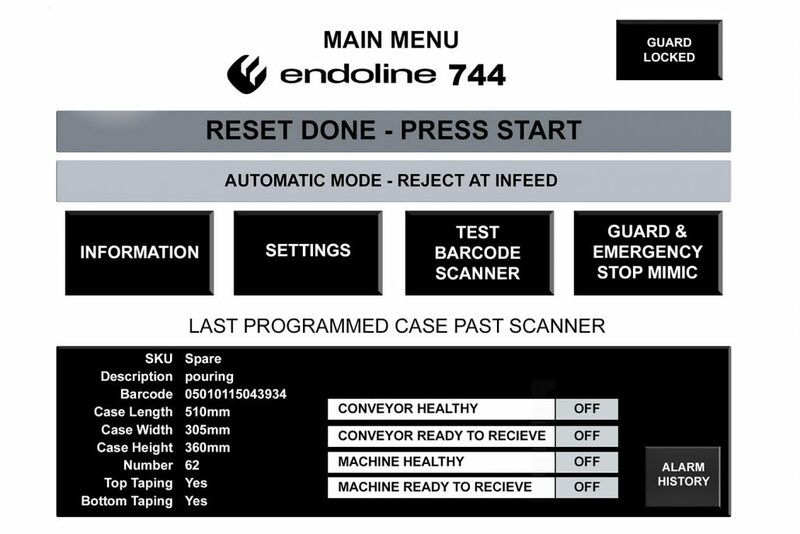 Endoline’s machinery includes many unique design features that make them particularly suited to a wide range of applications including snacks, biscuits, confectionery, ready meals, pharmaceutical, healthcare, consumer goods, order fulfilment, printing and consumer goods. 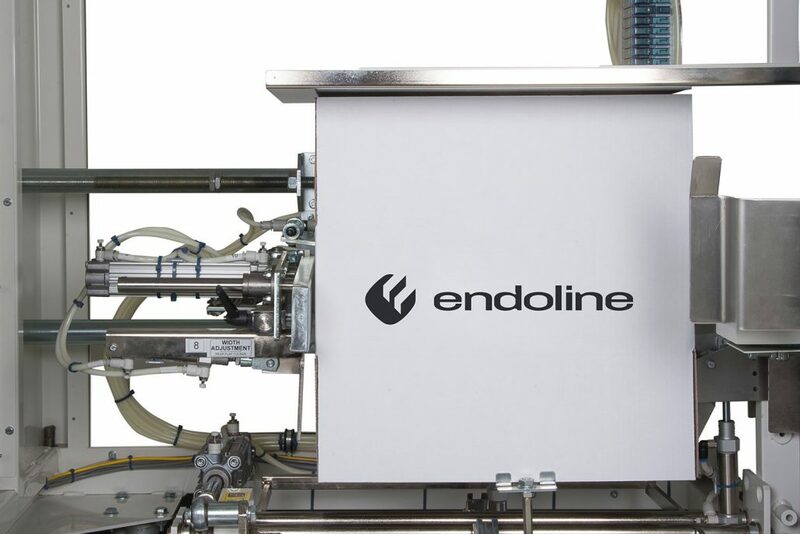 Endoline offer customers a complete end of line packaging machinery service, from the design and build of bespoke systems up to a fully integrated turnkey system using their well-established partners. When designing and engineering a system, whether bespoke or standard, it is essential to understand your ideas, challenges, requirements and budget. Therefore from the initial enquiry through to installation, Endoline’s team of specialists will guide you through the process to ensure you get the right system for your needs. During the build process Endoline’s dedicated projects division will ensure that you are kept updated with progress of your system. Endoline also have a quality and test department to ensure the machine is to the highest quality and it meets your specification, prior to delivery. Endoline will invite you to carry out a full Factory Acceptance Test (FAT) of your machinery to approve before installation. Engineers will also work with your board supplier to ensure that the cases are to the right specification for consistent reliable operation 24/7. Endoline have a dedicated team of service and installation engineers who are expertly trained on all the systems. They can provide full installation, training and offer ongoing support. During installation Endoline engineers will provide full training for operators and engineers so that the machine can be operated and maintained correctly. Endoline engineers can also carry out a site acceptance test (SAT) for any machinery installed to ensure it meets the required specification before the engineer leaves site. Endoline also has a professional after sales support team who can provide support for any technical issues, spares and tape. Service agreements are also available to ensure on going high performance and reliability. Endoline prides itself on offering customers top level service to ensure any enquiries are dealt with as quickly and efficiently as possible. Based in Biggleswade, Bedfordshire and 1 minute from the A1, we are perfected situated to service the whole of UK as well internationally. I have dealt with Endoline for nearly 15 years and they have always been very good people to work with. Endoline’s willingness to come out to Australia and look at the problems faced by our customers has been very impressive and has allowed us to make some real inroads in to the Australian snack foods industry. Every job we have worked on with Endoline has been a success, delivered on time and the customers have been 100% satisfied. That is not always the situation with other companies and makes Endoline one of our best principals.